As Sick Records of Belfast closes Getintothis’ Chris Leathley mourns the loss of an unique shop and asks what the future holds for independent record stores across the UK. 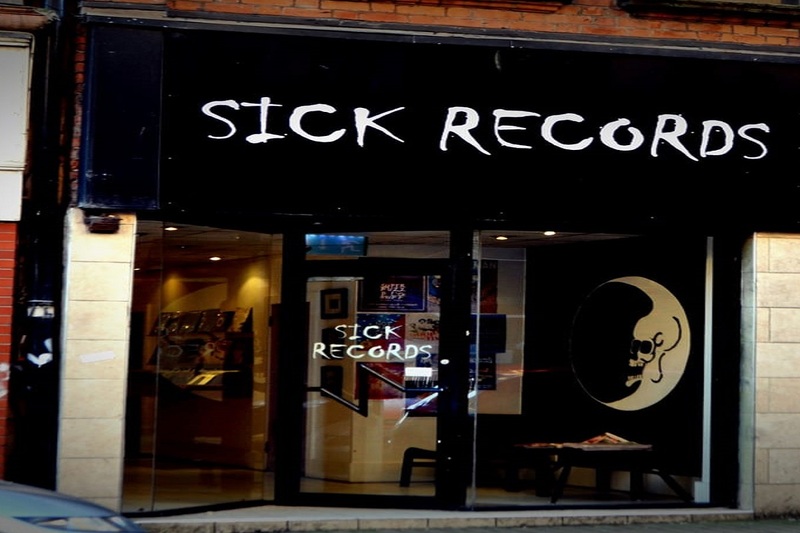 On October 7 Sick Records, after 3 and a half years of fruitful trade, closed its doors for the final time. In the relatively short period that Sick had graced Belfast with its pugnacious, inimitable presence, it made an outsized footprint on the local music scene. Its owner was Kenny Murdoch, a local record enthusiast who chose to do what so many of us wish we could do – take a long-held passion and transform it into a job that will hopefully pay the bills. It is hard to forget my first visit to Sick, some 6 weeks after the shop had opened. I’d heard rumours from among my 6th Form students that a new addition to Belfast’s paltry collection of music stores (especially if you discounted the increasingly hollowed-out HMV) had arrived and, what’s more, it was stocking ‘interesting gear’. As to what ‘interesting’ meant to my average student, well, that was anybody’s guess but I was certainly intrigued. On entry to Sick, there was an immediacy to the atmosphere that struck you as vibrant, fun and inclusive. Kenny was quick to talk to anybody and everybody who walked through the door, be it a Jazz fiend who desperately needed that 500th Miles Davis LP which he just had to have or a young pup who had bought their first turntable and was looking for a jumping-off point into the great vinyl beyond. This was not a place for judgement or exclusivity. That’s not to say that Kenny or others in the shop were shy about their musical opinions – after all, who wants a shop like that? Bland, corporate homogeneity fills the High Street as it is. Debates raged, labels were attached and detached from records and artists with dizzying regularity and music dominated every chat, joke, lecture or reverent appreciation (usually lubricated by a beer or two). The point was that difference was celebrated. You could loathe that new death metal release but you could relish the fact that Matt adored it. That kind of giddy love for music, whatever the band or artist, was exquisitely infectious and inspiring. In the time that Sick was open, I bought exclusively from them (bar one ill-advised jaunt to Dublin’s overpriced stores). It was a conscious decision on my part – to show loyalty to a local entrepreneur who was always ready to seek out rare records; quick to put the kettle on when you needed a chat (about music or anything else for that matter); and made every effort to encourage local artists to play in-store gigs and was proactive in supporting them by stocking their material when others would not (without a fat commission). As those of us who have been buying music, films, books and other media for some time know only too well, these kinds of places, these hubs of imagination and energetic enthusiasm are few and far between. In order to stock the niche LPs for which Sick became so beloved, you had to take some significant gambles. Unusual material was no guaranteed best-seller. The safe options taken by so many larger shops, that is the usual array of classic rock reissues aimed squarely at record collectors of a certain taste and vintage, was the way (if any truly existed) to make a few quid. Anything outside that narrow furrow of interest and you were in danger of losing your investment. Noble aspirations towards bringing new, exceptional and unique music to a wider audience were often dashed by hard, commercial reality. Add to that the gleeful optimism attached to the vinyl revival. Is it misplaced? As a relative newbie to the vinyl collecting lark (4 years and counting), I can’t say that I have seen an explosion in the number of new record buyers that seem to be referenced by many a broadsheet story in the national press. Purchases of vinyl have grown but from an extremely low base. Besides, much of the buying that I saw at Sick was done by long-standing enthusiasts who had previously resorted to online shopping. Those fans of the medium had never gone away. The question would always be – were there enough new fans eager to take the plunge? Sadly, Sick is proof that despite every effort, a sensational array of stock and the kind of customer service you could only usually dream about, there simply wasn’t enough demand. 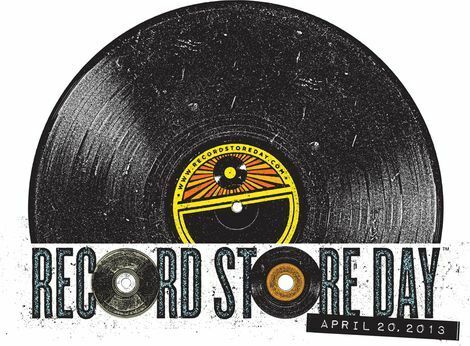 Finally, it is worth pointing out that Sick, and other indie stores, often have their hands tied by the greedy margins priced into newly pressed records, particularly re-issued soundtracks and more selective genres- like Metal for instance. On too many occasions, Sick were forced to set wonderful releases out on the shelves with an eye-watering price tag to match, simply because labels sought to milk vinyl enthusiasts for every penny. I saw the sums people, and it ain’t the indie stores making a fat wad out of those £30+ releases!!! 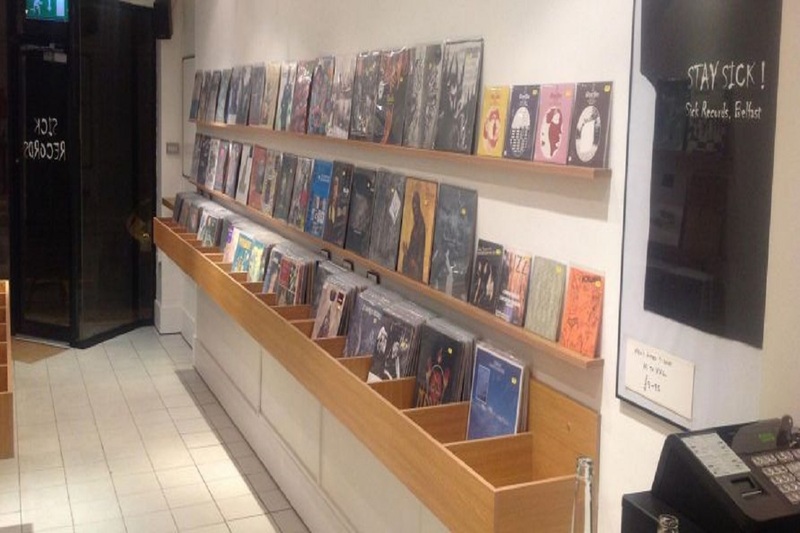 So, what next for Belfast and indeed, for other indie stores around the country? The likes of Monorail in Glasgow or Probe in Liverpool are proof positive that in the right location, with the right staff and a judicious selection of stock, you can still make it work but it is becoming harder and harder to sustain such success. For the vast majority of us, a stark choice remains. Pay more in order to support these fledgling diamonds in the rough of music retail in the UK? Or accept the inevitable, shop online and see the High Street become a desert of franchise coffee houses and fashion boutiques? It’s not an enviable choice but it’s the one we face.